This following an excerpt from the 2012 research brief titled “Failed State of Security; A Rational Analysis of Deterrence Theory and Cybercrime.” I was recently provided a blog post by an ‘expert’ in which the author was again blaming the victim of a data breach while chiding companies for believing that they should not expect law enforcement to be there when you need them. 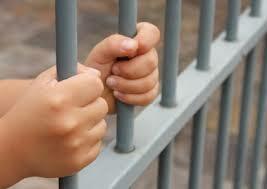 The author misses a major purpose of the criminal justice system; Deterrence of criminal behavior. I late 2013 a US Senator stood in front of a Target store and blamed Target for their data breach. Interestingly, this senator did not state that the US should redouble efforts to deter cybercrime through more effective laws or more aggressive law enforcement actions. Until the laws and criminal justice system can begin to deter such behavior, cybercrime will continue to plague data industries. So what is deterrence? Deterrence theory has applications in a variety of fields including military, and maritime security settings, foreign affairs, and in criminology, to name a few. While seemingly unrelated, when looked at closely, the similarities are apparent. Each these fields involve human decisions and humans that have the ability to behave and act in a manner contrary to the wishes of the other party. It is the ‘human element’ that is being modified by deterrent strategies.